The Roanoke County Sheriff's Office has participated in the Special Olympics fund raising for many years. Our Deputies volunteer their time to participate in the Law Enforcement Torch Run to raise awareness for Special Olympics, as well as raising money while participating in motorcycle rides, polar plunges, tip-a-cop, selling t-shirts and candy. The Sheriff's Office Deputies, who participate in the final leg of the Virginia Torch Run also help at the annual Special Olympic Summer games, which is held in Richmond. Since the Torch Run was started in the early 80's, the Roanoke County Sheriff's Office has been a leader in raising funds and doing events to raise awareness for Special Olympics. In the past, our Sheriff has been the area coordinator, as well as having members on the executive council. The Law Enforcement Torch Run is a nationwide event, and is the largest grassroots fundraiser for Special Olympics. 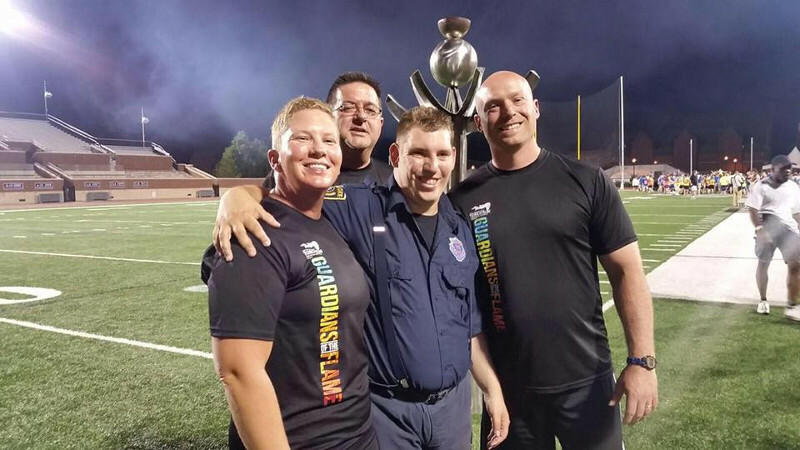 Law Enforcement Officers throughout Virginia will participate in running the Flame of Hope in Richmond to open the Special Olympics Summer Games. For more information on our Special Olympics programs, you can email Deputy Scott Young.